Bursts of blue, green and orange dotted the hilltops of Schenley Park on the morning of April 7, along with the hundreds of Pitt students and community members racing along them. 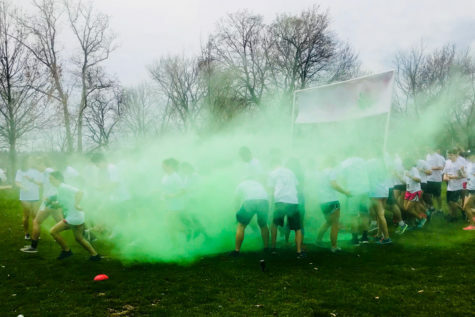 These runners were participating in the fourth annual Color Out Cancer 5K hosted by Pittsburgh Attacks Cancer Together. The student organization raises money to help fight various cancers, and has raised more than $55,000 in the last three years.